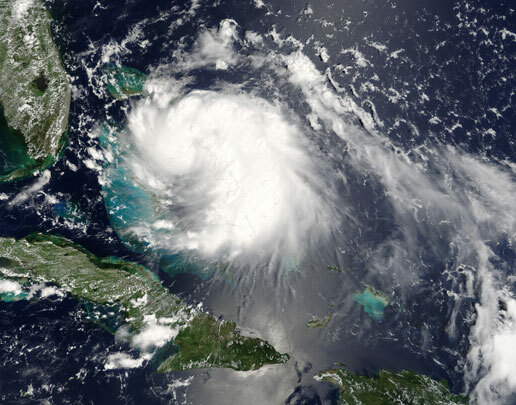 Not to make light of the people suffering from Hurricane Katrina, but I found it ridiculous that an old friend of mine get's a hurricane named after her when her name is obviously not as commonplace as say... 'Darren'. Earlier in the summer Corwin and I were discussing hurricane Arlene and he told me that there's actually a predetermined list of names for tropical storms. That was news to me, and to see if my name appears on that list, I did some digging. Un@$*)&ng believable. The list includes such names as Gaston and Odette, but no Darren. How about Hurricane Wai-Loon? Nope, not there either. At least Jamie, Joe, and Howard are all in the same boat. And because the lists are rotated every six years we will never have the opportunity of getting a storm named after us. Do they name earthquakes? How cool is it to have nature's fury named after you? No takers? I should start a petition. i'm assuming my name isn't on their either. but yea, you're right, we should start our own naming for some other natural disaster. earthquakes are too brief though. "joyce" and "josephine" are both said to be derived from the same latin base as "joslyn" is, so i guess that's as close as i'll get. erika is on there! watch out before i kick ur but in 2009.